A search for preachers — reality TV style (reporting from Malibu, Calif.): A video quest puts a modern twist on efforts to inspire a new generation of ministers. MALIBU, Calif. — “American Idol” for ministers? “Survivor” with an emphasis on the Holy Spirit? 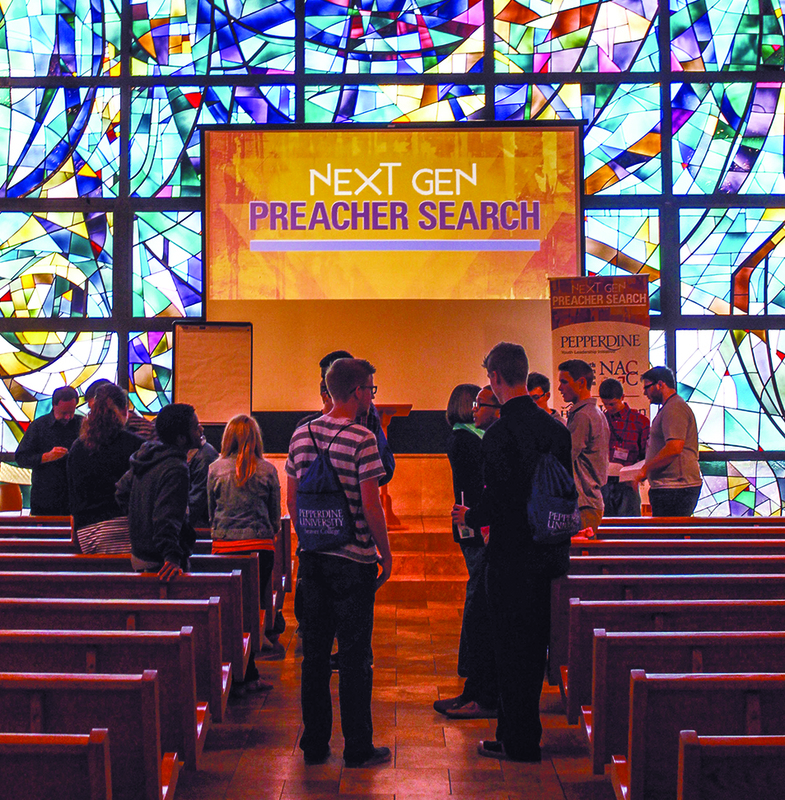 Welcome to the “Next Gen Preacher Search,” developed by Pepperdine University’s Youth Leadership Initiative. The national contest invited students interested in preaching and teaching to submit five-minute videos for review and critique — and a potential opportunity to speak at a major event such as the Tulsa Workshop in Oklahoma or the Pepperdine Bible Lectures. “I’m hoping idolatry is nowhere near, but we wanted to use an idea that young people would be kind of familiar with and something that would challenge them,” said Jeff Walling, the Youth Leadership Initiative’s director. The ultimate goal: to inspire more young Christians to devote their lives to sharing God’s word. “When we listen to folks in our Christian colleges, I hear them saying they have fewer and fewer students walking through the door saying, ‘I want to preach,’” said Walling, a frequent speaker at youth rallies and the former longtime preaching minister for the Providence Road Church of Christ in Charlotte, N.C.
No one was looking for a golden ticket to Hollywood, but 40 semifinalists were chosen to work with “mentor preachers” and fly to a recent two-day training event — either at Pepperdine or at Johnson University in Kissimmee, Fla. This story appears in the March 2015 print edition of The Christian Chronicle.